A well presented two bedroom terraced property located in the sought after area of Newport Pagnell. On entrance to the property you have the lounge/diner. Through the lounge/diner of the property you have the refitted galley kitchen which has access to the rear garden via stable doors. 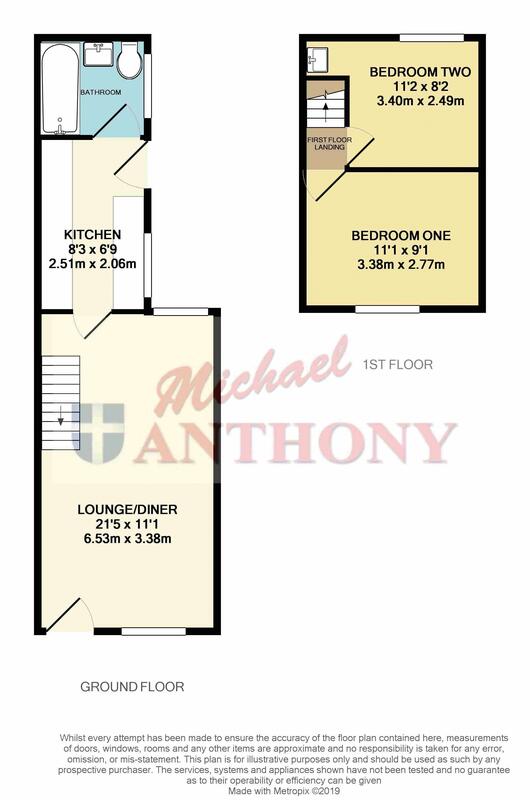 To the rear of the property you have the family bathroom, upstairs you have two double bedrooms. Outside the property you have low maintenance gardens.